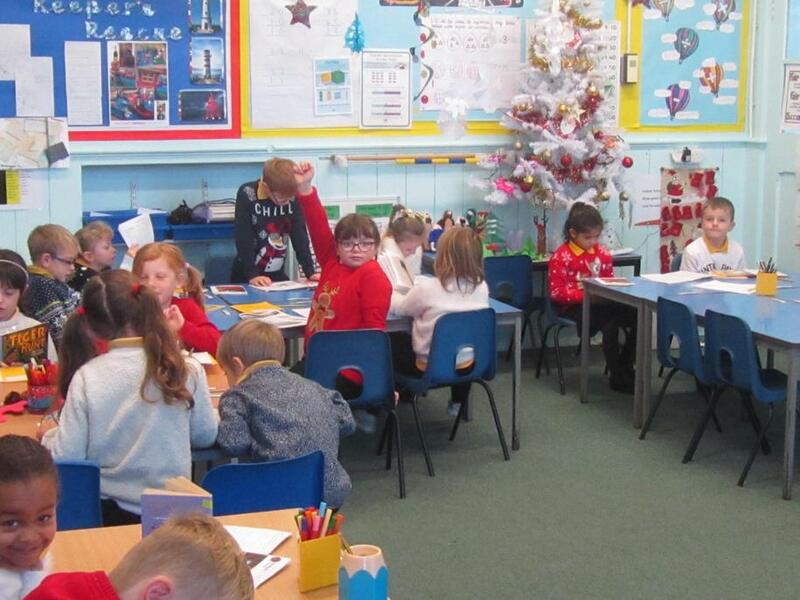 There were some great Christmas jumpers on display throughout the day. 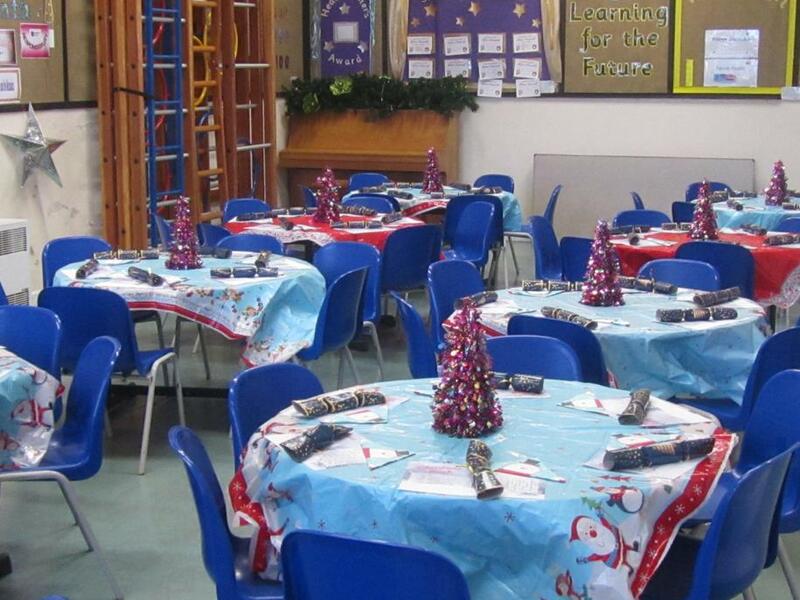 Christmas Dinner was lush according to a number of children from over- heard conversations! 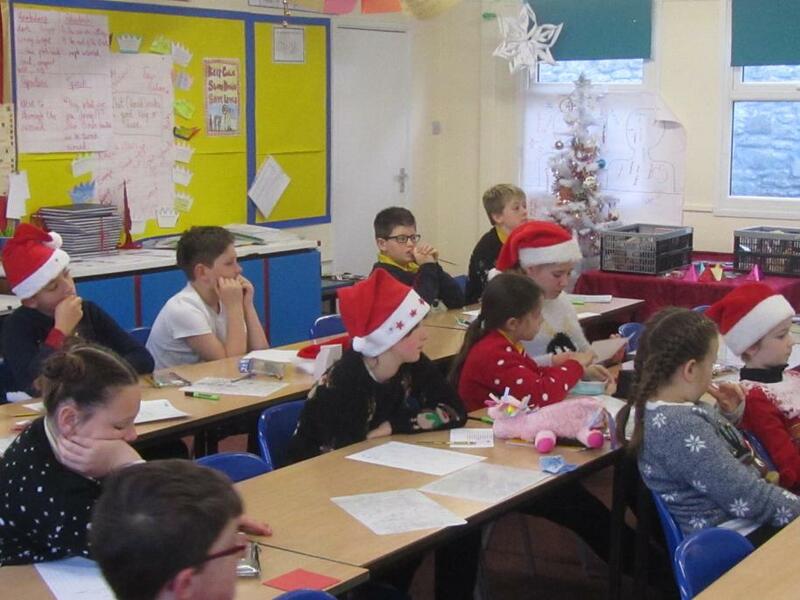 The organisation was fantastic - thanks Miss Smith, Mrs Trembath and the staff. 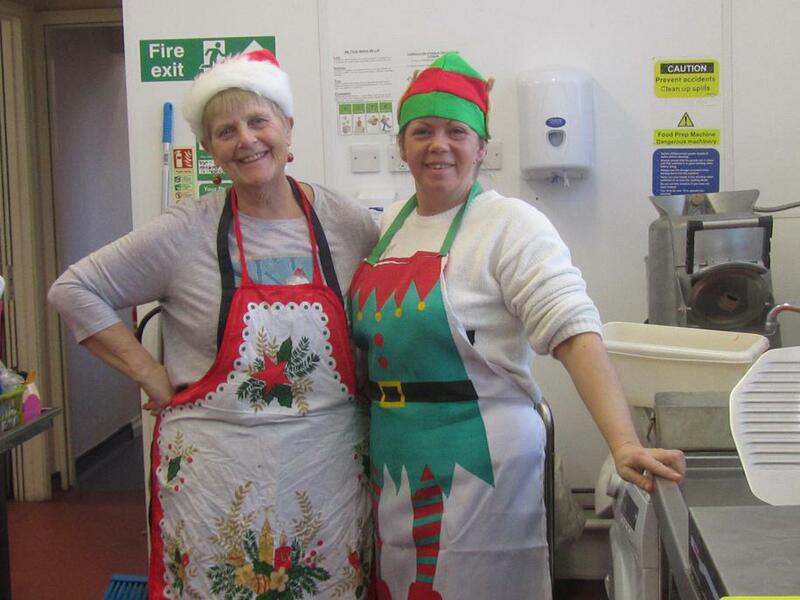 The Christmas Big Get Together was a really great success. We should like to thank everyone who supported and attended on Friday evening. 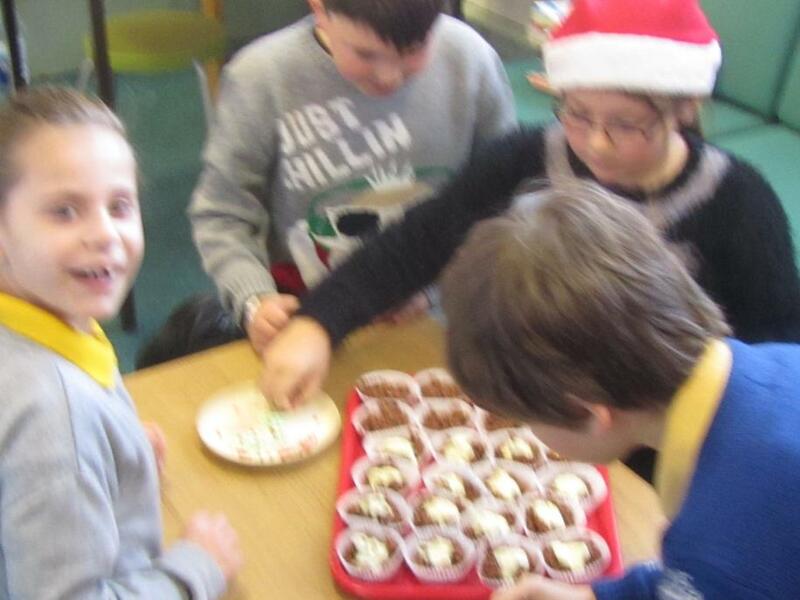 The stalls, run by the children from the 4 classes with their Christmas decoration, cakes and other Christmas offerings , were super. 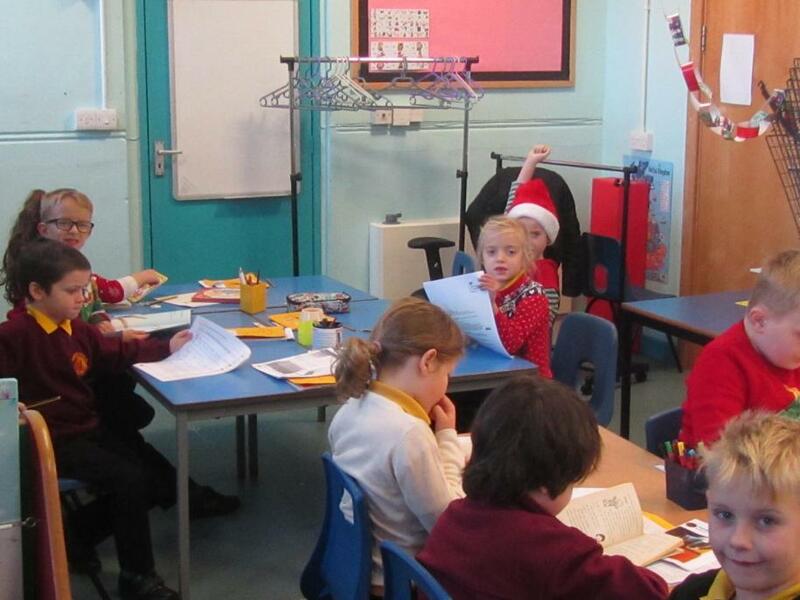 Father Christmas was in attendance and there were presents from him for everyone. 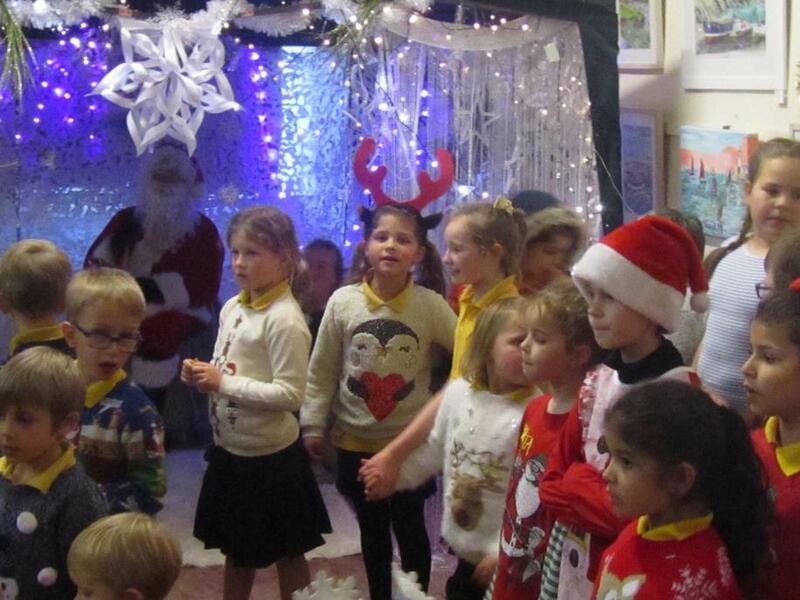 (It was mentioned that Father Christmas arrived earlier in the day with Rudolf but this has yet to be confirmed). 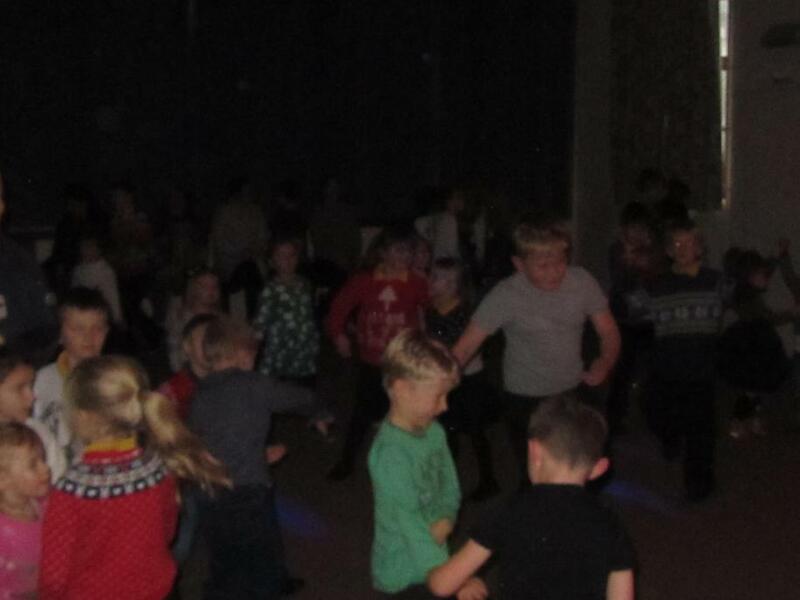 Mr Argall conducted a gathering of children to sing a couple of Christmas songs , there were snacks and drinks available all evening and the children had a great time at the disco. Here are just a few pictures from across the day.